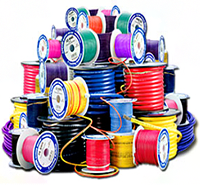 At A & S Electric Supply, we serve a large variety of markets. Not only do we have all of the supplies needed for electrical construction and maintenance businesses, as well as the products that fit the unique requirements of larger industries, but we make sure to go the extra mile. No matter how small or large scale your project is, we have the products needed for you to reach a sure and smooth completion. Our massive inventory is equipped with all of the equipment needed to complete a job. We are a leading supporter for city, county and state. Contact us for more information on our products!